Neck and lower back back injuries can be debilitating. Learn more about their causes, symptoms, and the damages that can be recovered. According to the National Institute of Neurological Disorders and Stroke, 80% of adults experience back pain at some point in their lives. Neck pain also plagues a large portion of the population, as an estimated 20-70% of adults will experience neck pain serious enough to interfere with their daily activities. Nevertheless, neck and back injuries are often taken less seriously by judges, juries, and insurance companies than other injuries. One reason for this is because neck and back pain can be subjective and difficult to prove. It’s important to keep detailed records following an accident that results in neck or back pain. It’s also a good idea to meet with an experienced attorney before filing a personal injury claim. In this article, we’ll take a look at common neck and back injuries, who’s liable, and what damages might be available if you suffer a neck or back injury in Arizona. The long-term impact of these injuries can differ significantly. In general, the longer your injury persists despite receiving medical treatment, the greater the settlement or award. One of the trademarks of neck and back injuries is that other parts of your body tend to be impacted. This is due to the fact that your spinal column is your body’s main structural support. If you experience any of the symptoms above, it’s important to visit your healthcare provider. Your healthcare provider will perform a physical exam and may also take X-rays or MRI’s of the affected areas. In rare cases, a blood test might be necessary to diagnose arthritis—a condition that can cause back and neck pain. If you’ve suffered a neck or back injury, you may be able to recover damages. Your legal recourse depends on the nature of the injury. If your neck or back injury is caused by another person or entity’s carelessness, you can attempt to recover damages by filing a negligence lawsuit. Enjuris tip: Learn how to pick the right Arizona personal injury attorney for your case. If you suffered a neck or back injury as a result of a workplace accident, you may be able to file a workers’ compensation claim. Most injuries are covered so long as the injury occurred during the course of employment. Even if you already had a pre-existing neck or back injury and the work-related accident merely aggravated the injury, you’re still eligible to receive workers’ compensation benefits. Enjuris tip: There are a number of steps that must be taken in order to file a workers’ compensation claim in Arizona. On top of that, most of these steps must be completed by a strict deadline. 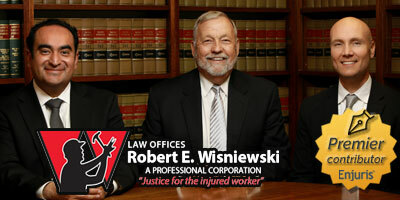 Read our article on How to File a Workers’ Compensation Claim in Arizona to learn more. In rare cases, someone may have intentionally caused your neck or back pain. For example, you may have been mugged and assaulted. This is called an “intentional tort,” and—in addition to the usual damages available in negligence cases—you may be able to recover punitive damages. Willful and wanton: conduct that is intended to cause harm (such as the intentional tort described above). Enjuris tip: To calculate a rough estimate of your injury award, take a look at our article: How Much is Your Arizona Injury Case Worth? Loss of productivity. Back pain is the most common cause of disability in working adults. Nerve damage. If your back pain is from a herniated disc, pressure on the spinal nerves can cause a variety of problems, including weakness, numbness, or severe shooting pain that travels from the back to the leg. Depression. Back or neck pain may limit work, exercise, social activities, and sleep. All of this can lead to depression. Weight gain. The loss of mobility associated with neck or back pain can result in weight gain and the loss of muscle strength. After you’ve sought proper medical treatment for your injuries, contact an attorney to find out if and how you may receive compensation for suffering a back or neck injury.